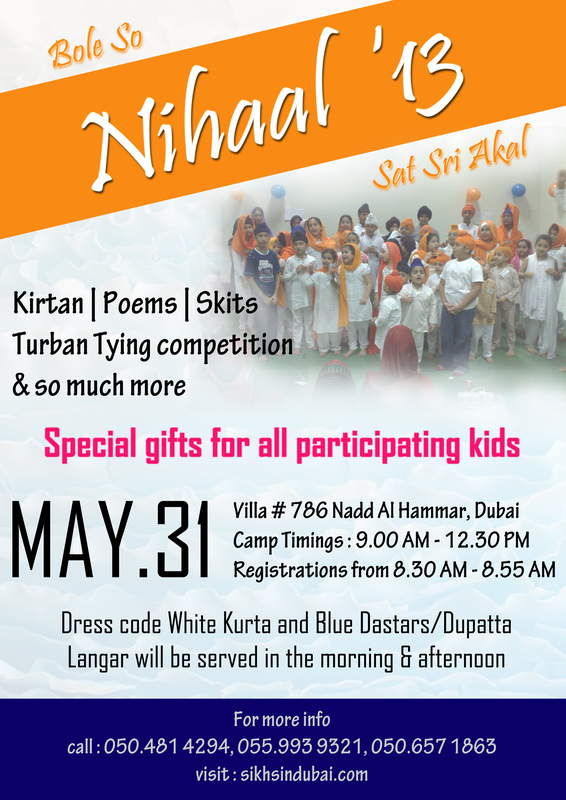 As it has been shared before, please find attached the full details of Kids Camp scheduled for 31st May. Again a request to all sangat who have not given names yet to kindly pre-register kids names with activities they intend to participate in on the numbers mentioned in the details. Also, we would like to encourage all boys and girls to participate in Dastaar Bandi Competition.